​Manchester United pair Paul Pogba and David de Gea are said to be 'considering leaving' Old Trafford this summer after being 'tempted' by big European sides, something which could potentially be accelerated if the Red Devils fail to qualify for the Champions League. 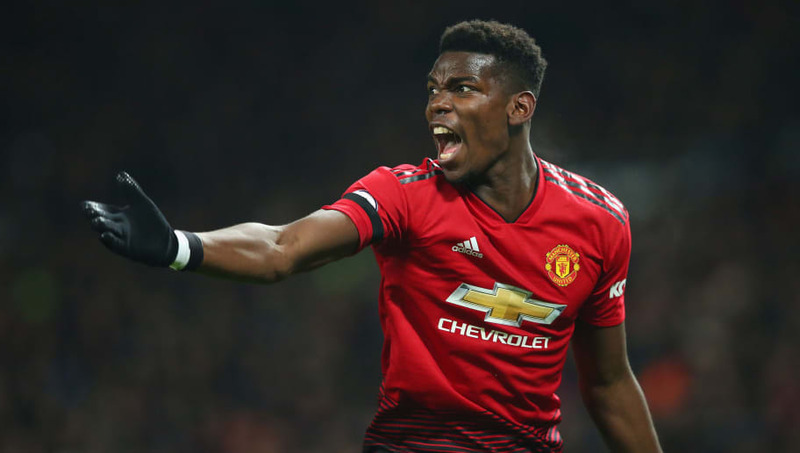 Both players have been increasingly linked with Real Madrid in recent weeks, particularly Pogba after the media jumped on comments the Frenchman made during the March international break generally describing Los Blancos as a 'dream for anyone'. A report from The Times suggests that Pogba and De Gea are among a group of as many as seven United players giving thought to quitting the club. The others are Juan Mata and Ander Herrera, both of whom could leave as free agents, Romelu Lukaku, Eric Bailly and Alexis Sanchez. At the very least, it appears that qualifying for the Champions League might give Pogba and De Gea more reason to stay than the rest, all of whom have issues for other reasons. A new contract in the near future for both men would go a long to ending the speculation and it has already been suggested that United see keeping Pogba and De Gea as their 'number one priority' this summer - a club source told one newspaper over the weekend they are 'not for sale'. One report from Spain has claimed that Real will launch 'Operation Pogba' once a deal for Chelsea superstar Eden Hazard is finalised. It is how the Spanish media often frame such sagas, but beware of stories laden with premature details of agreements designed to exert pressure on the player and selling club. Specifically where Pogba is concerned, the Daily Mirror claims that one particular demand will keep him at United this summer, and that is a new contract with a big pay rise that will put him in line with Alexis Sanchez as the club's highest paid player. There is no consensus figure in the media as to what Sanchez actually earns, but it is rumoured to be between £350,000 and £505,000-per-week, depending on whether bonuses have been included in the estimation. The Mirror suggests Pogba is chasing £460,000. The same report claims Pogba has told close friends he is happy at United. That is in line with what the player himself told the media seconds after acknowledging that Madrid is a 'dream'. "For now, I'm at Manchester. We don't know what the future holds. I'm at Manchester," he said. The De Gea situation is a little more urgent than Pogba, whose contract can be extended to 2022, with the four-time Sir Matt Busby Player of the Year out of contract in 2020. United have dropped down to sixth place in the Premier League table after losing two of their last three games, but were at least boosted in the top four battle over the weekend when Arsenal surprisingly lost 1-0 at Everton.